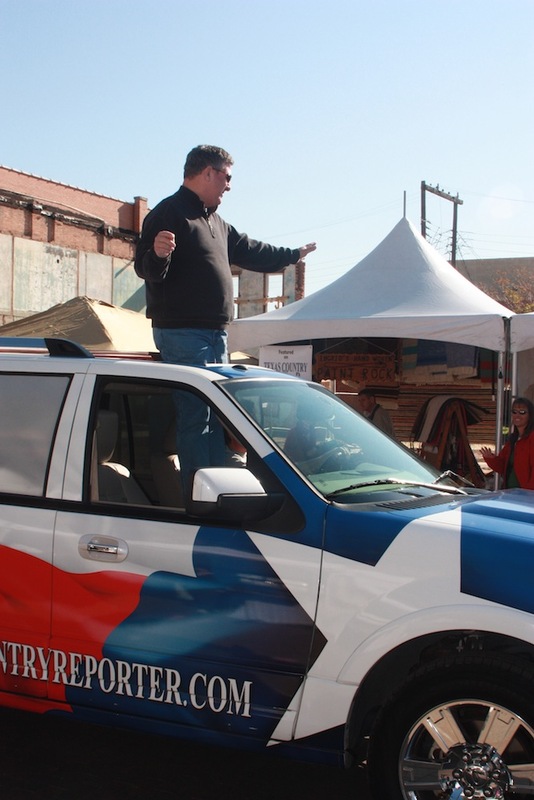 This past weekend, Marika participated in the 16th Annual Texas Country Reporter Festival in Waxahachie, TX. The weather was fantastic as were the many people who attended. This year for the first time, the TCR Festival and CBS 11 Dallas decided to present awards to the vendors. 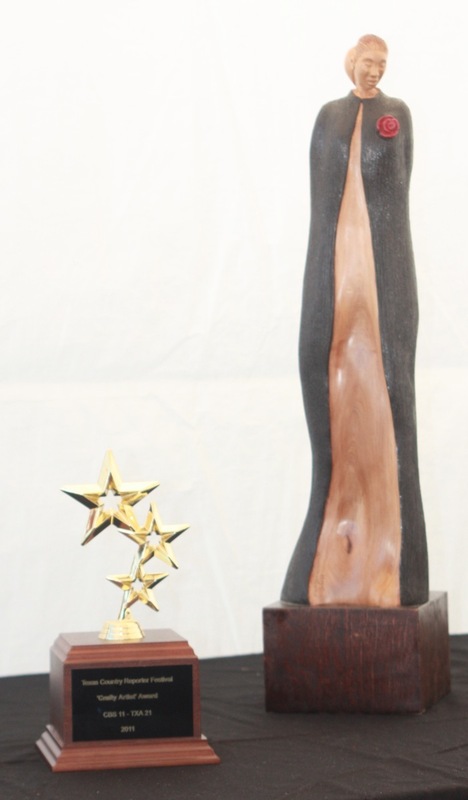 There were approximately 250 vendors but only 5 awards. Marika was one of the fortunate 5. She received the “Crafty Artist” Award. Below are a few photos from the event including one of Bob Phillips. 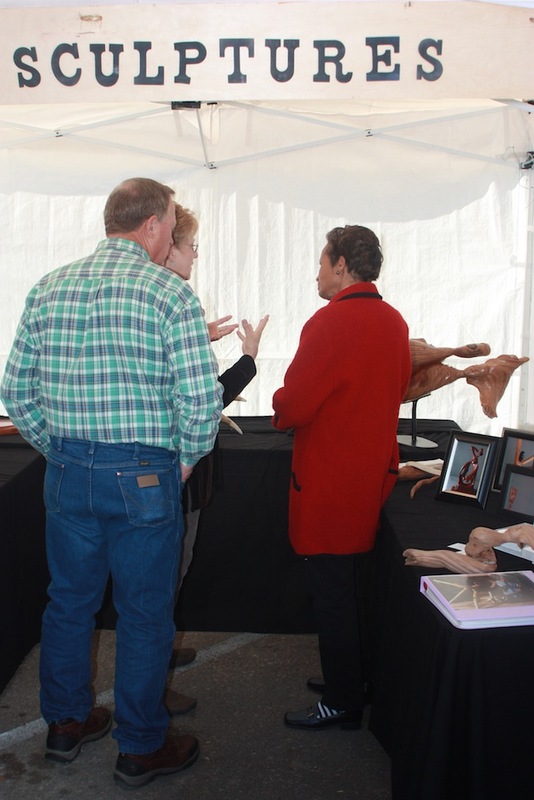 This entry was posted in Texas Country Reporter and tagged Bob Phillips Productions, marika, marika bordes, Texas Country Reporter, wood sculpture exhibition. Bookmark the permalink.